Somebody had to do it! You think just anyone can just Drain The Swamp? Foolish! It requires the salt of the earth to do that and the Drain The Swamp Medium Roast COVFEFE is that salt of the earth medium roast COVFEFE. For far too long we've had to endure swampy medium roast coffee that has Jeb Bush energy levels. This ain't that kind of medium roast. 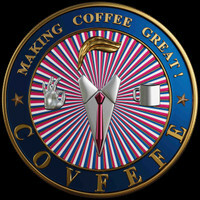 Drain The Swamp Medium Roast COVFEFE tastes like FREEDOM and is packed with DRAGON ENERGY.